 The participants of the Russian Halal Expo are certified producers of food products, consumer goods, cosmetics and pharmaceuticals, companies providing services in the field of hotel and restaurant services, tourism, education and medicine, investment companies. Consumers of products and services. Tourism, Medicine and pharmaceutics, Cosmetics, Food, HoReCa, Education, Investment projects. We are pleased to announce that the International Congress-Exhibition RussianHalalExpo-2018 will be held on April 26-28, 2018, in Moscow, in the Expocentre Fairgrounds, Pavilion No. 5. Organizers of the event are "Shine of Orient Corporation" LLC and the International Center for Halal Standardization and Certification of Russia Muftis Council. The exhibition is supported by the Moscow Government, the Ministry of Economic, Territorial Development and Trade of the Chechen Republic, the Ministry of Agriculture of the Chechen Republic, the Halal Standard Committee of the Religious Board of Muslims of the Chechen Republic, GULFTIC (the UAE), WorldHalalCouncil (the UAE), GIMDES (Turkey). The concept of "halal" is inherently extensive and comprehensive. Halal is not only products and services as it is positioned now in the world, but it is a way of life, thoughts and actions. In modern society halal has become the philosophy of life and the designation of eternal values ​​- "do for the good of others and yourself, do no harm, be sincere." Traveling, doing business, using medical, financial and other services, acquiring material goods, donating to charity, helping others and building relationships with others - "do good for yourself and others - live halal." The global halal infrastructure starts from spiritual education and development, ending with material benefits. Thus, the mission of RussianHalalExpo is to demonstrate the halal lifestyle to the general public. The main goal of the Exhibition is to promote the Halal industry of confessional products and services as the basis for the formation of a healthy future generation of the country. The exhibition promotes the creation of favorable conditions and business climate for business in the halal area, the establishment of business contacts between representatives of domestic and foreign business and the entry of Russian companies into the world market, as well as the development of halal tourism in Russia. In addition, the Organizing Committee sets itself spiritual, social, educational objectives. In 2018 RussianHalalExpo will unite on one platform more than 100 companies from 15 countries, including from Russia, the EU, countries of near and far abroad such as Turkey, Pakistan, the United Arab Emirates, Malaysia, Morocco, Indonesia, Thailand, Kazakhstan, etc. More than 5000 people of different nationalities and religions will attend the event. The main sections of the exhibition are: Medicine and Pharmaceuticals, Tourism and Hospitality, Cosmetics and Perfumery, Education, Food, HoReCa, Investment Projects. We are sure that you will find reliable partners and like-minded people at the congress-exhibition, feel the atmosphere of friendliness and peace, get comprehensively useful knowledge and improve your skills, become a part of the big world of Halal! When copying materials from the site hyperlink to russianhalalexpo.ru required.